Last week, Alastair Morgan, whose brother Daniel was brutally murdered 28 years ago in a south London pub car park, delivered a letter to News UK’s headquarters, for the personal and specific attention of News Corp’s CEO Rupert Murdoch. In it, he expressed the hope that Murdoch might direct his organisation to cooperate fully with the panel Inquiry set up, into the still unsolved killing, by Home Secretary Theresa May. Alastair Morgan reminded Murdoch that “The work of the Daniel Morgan Independent Panel is almost entirely dependent on disclosure and I am appealing to you today – on the 28th anniversary of my brother’s murder – to ensure that News Corporation discloses all relevant material in confidence to the Panel”, and has said in conclusion “I would also ask you to urge any of your employees or former employees who have information about the murder or activities of Southern Investigations to contact the panel”. 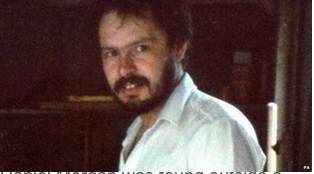 This matters: when a previous attempt in investigate Daniel Morgan’s murder was launched by the Met, the now-defunct Screws began to spy on the detective leading the investigation. The editor of the Screws at the time was none other than Rebekah Wade, as she then was, and the other party in the paper’s surveillance of Dave Cook and then wife Jacqui Hames was Southern Investigations, where the murdered man had been a partner. Today, Alastair has revealed the reply he has received from Murdoch, which he has made available publicly. So what has Murdoch told him in response? He first of all puts on record his regret at what happened that night 28 years ago: “I am sorry for your family’s loss”. He continues “As I reported to Lord Justice Leveson, I have no personal knowledge of the matters you allege, other than what I have been advised and reported to the Inquiry in my s.21 submission. I understand that our Management and Standards Committee produced documents related to these matters to the Metropolitan Police, and that News UK also responded to requests from the Independent Police Complaints Commission in 2012”. Murdoch concludes “While I have no knowledge whether we are in possession of any information not already produced to the authorities, I am confident that we will respond appropriately to any further Government investigation into this tragedy”. Well, the panel Inquiry is a form of “Government investigation”, and so it seems that News UK will “respond appropriately”. However, and here we encounter a significantly sized however, Murdoch has stopped short of offering his empire’s full and unequivocal cooperation. Hopefully his “confidence” at the nature of News UK’s response will be borne out, even though some potentially involved may find this inconvenient. After all, this would be no more than Doing The Right Thing. I know Alastair Morgan will keep watch on the Murdoch empire to see that it does just that. And he knows that, in his continued endeavour, he is not alone.